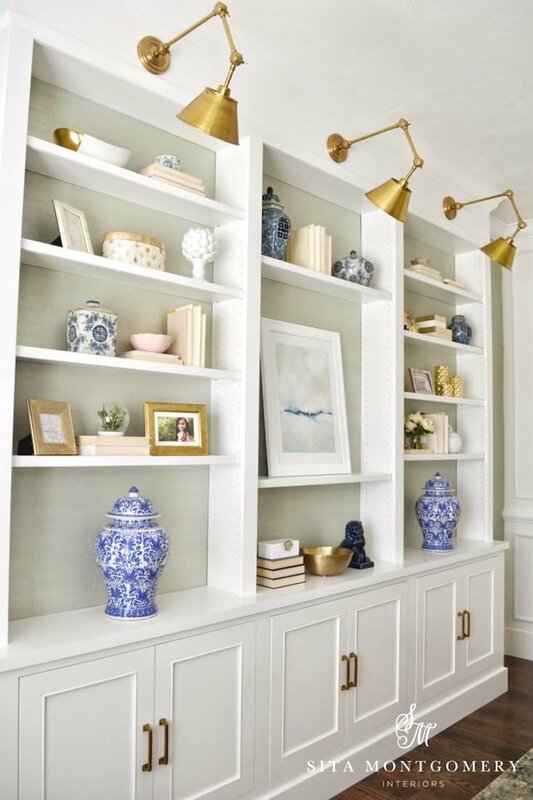 If you have the room and the budget—or if you’re a handy DIYer and can construct your own—custom built-ins can transform the look and feel of a space and provide a huge amount of storage and functional work surfaces. Today we’ve pulled together inspiration for some very creative ways (and places) to incorporate built-in cabinetry throughout the home. 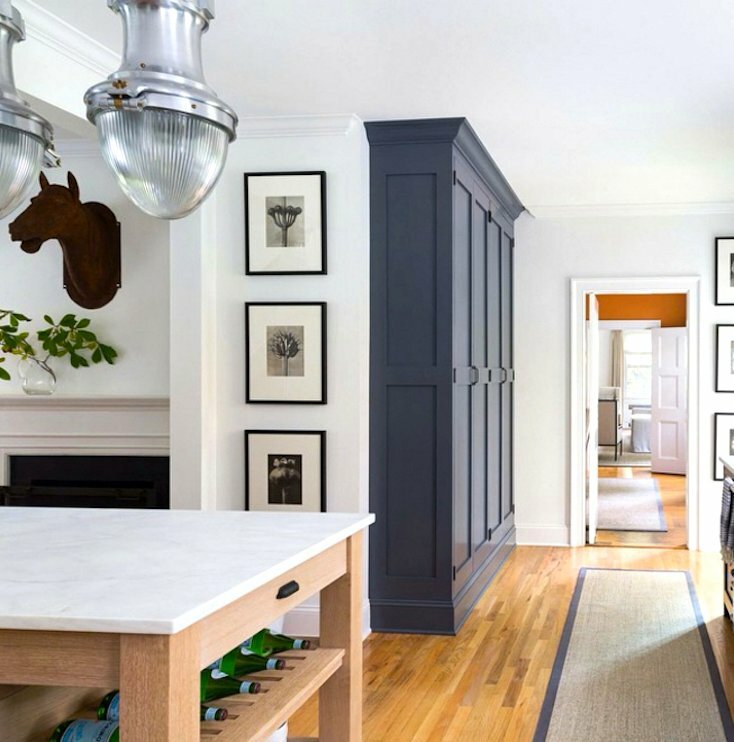 Kitchens and dining rooms are two spaces where built-ins can make a real difference—and where you have lots of options for adding custom built-ins that work for you and your family. 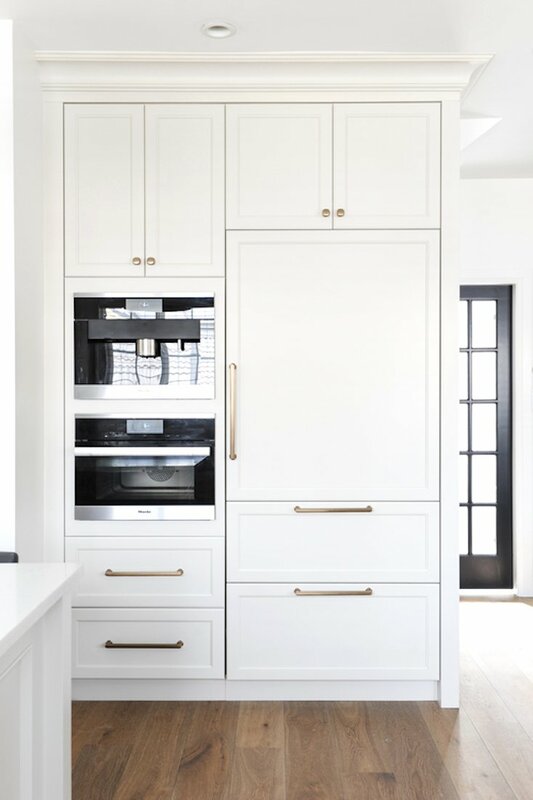 Refrigerators are being built in more and more, and in this example, the refrigerator blends in beautifully with all the other floor-to-ceiling drawers and cabinetry. A banquette offers a cozy seating nook where you and your family can enjoy meals together. 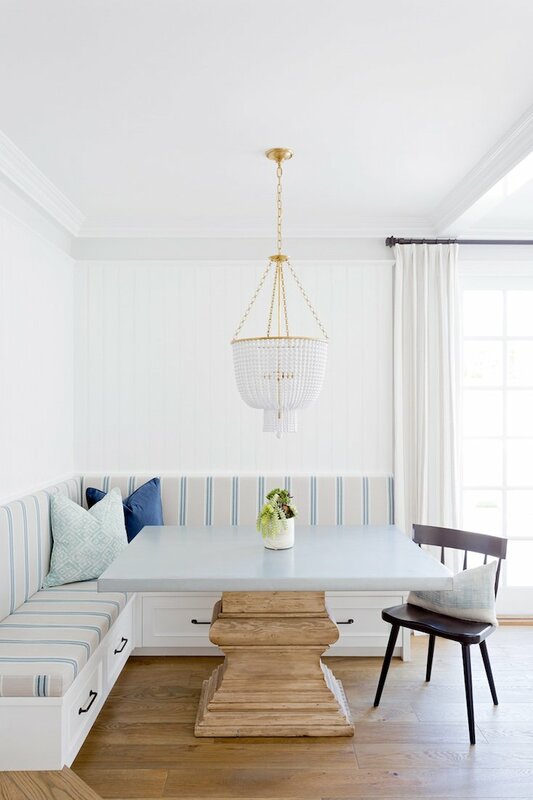 This lovely banquette even offers storage drawers below. 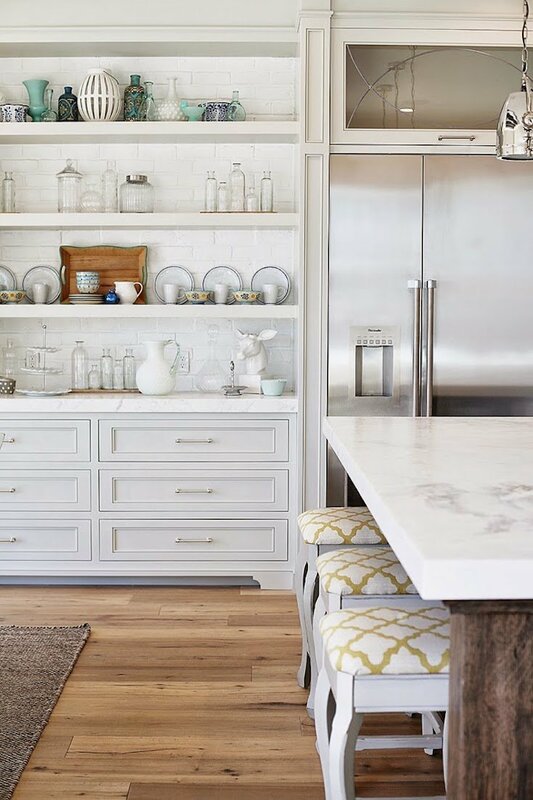 Built in the space between the kitchen and dining room, this gorgeous wall of open shelves mixed with drawers almost serves as a sideboard with so much storage. 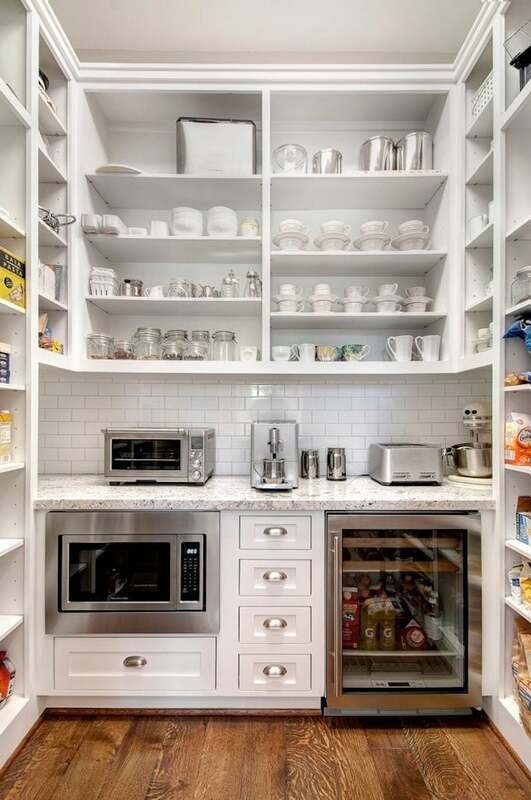 This butler’s pantry is a dream. Tons of built-in shelves on all three sides plus the drawers below give you lots of organizational options. Gorgeous in navy blue, this built-in dining room cabinet offers floor-to-ceiling closed storage. 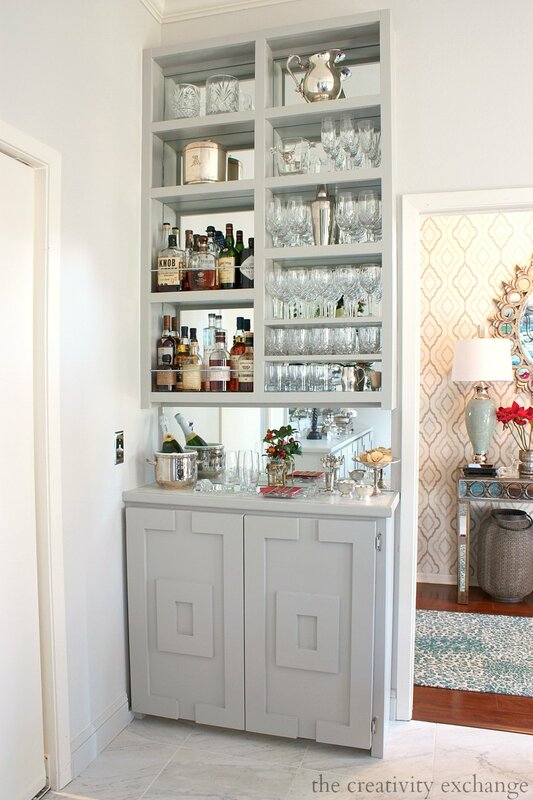 Cyndy used only 11″ of depth on the top shelving and 14″ on the bottom cabinets to turn a wasted corner in her dining room into a floor-to-ceiling bar. 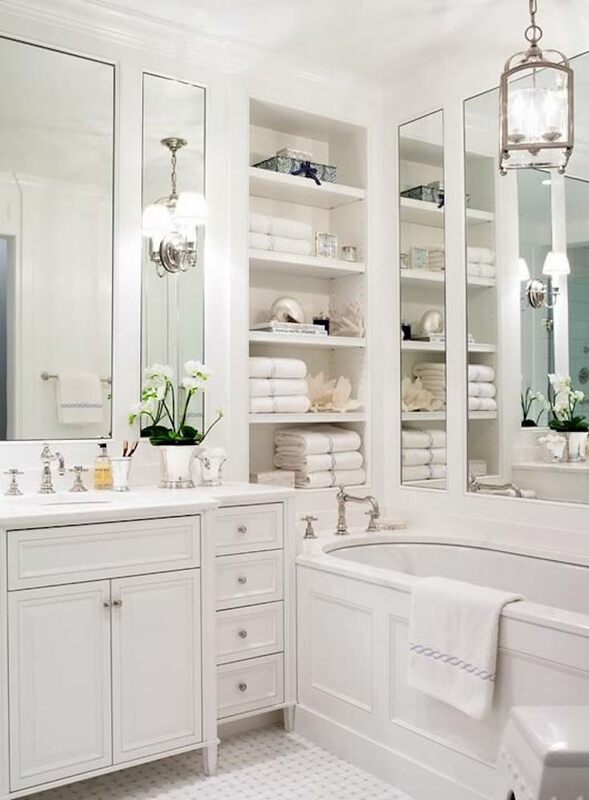 Bathrooms are another room where built-ins can give you lots more storage options. 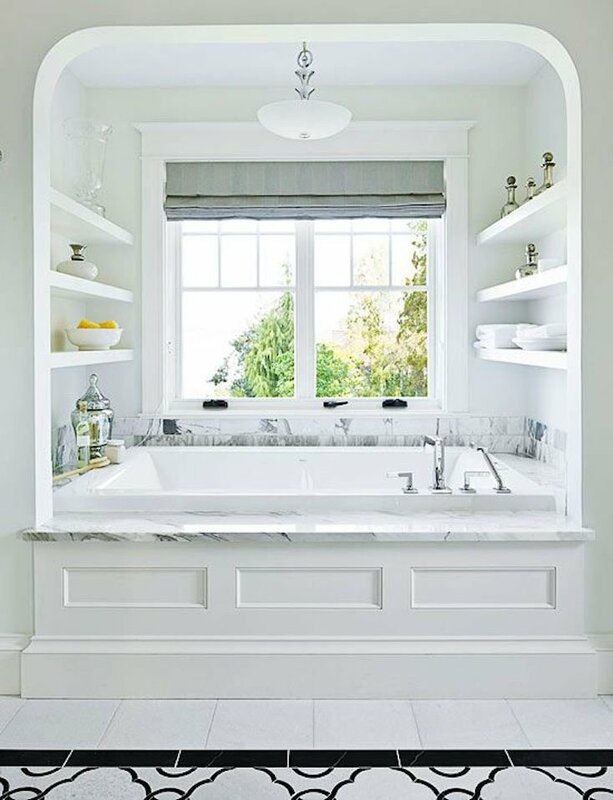 How lovely is this bathtub nook, complete with an amazing tub, pretty windows, and several built-in shelves? 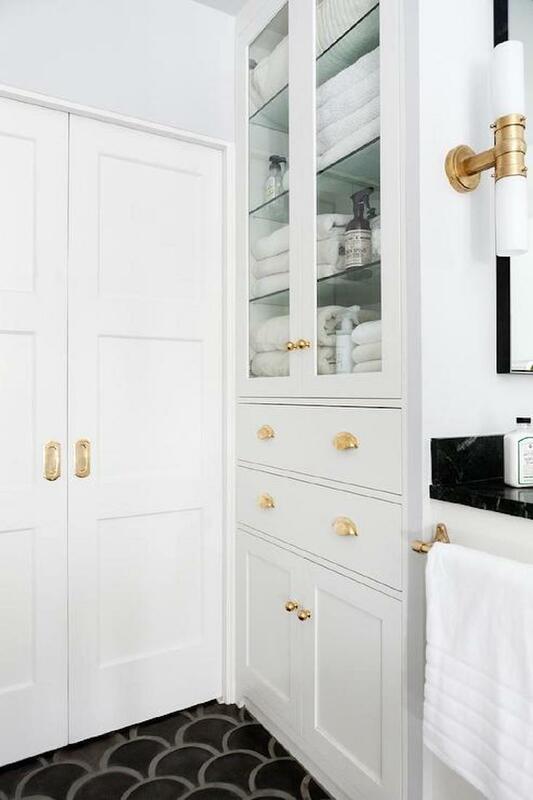 This pretty wall of bathroom built-ins makes the most of the space available. 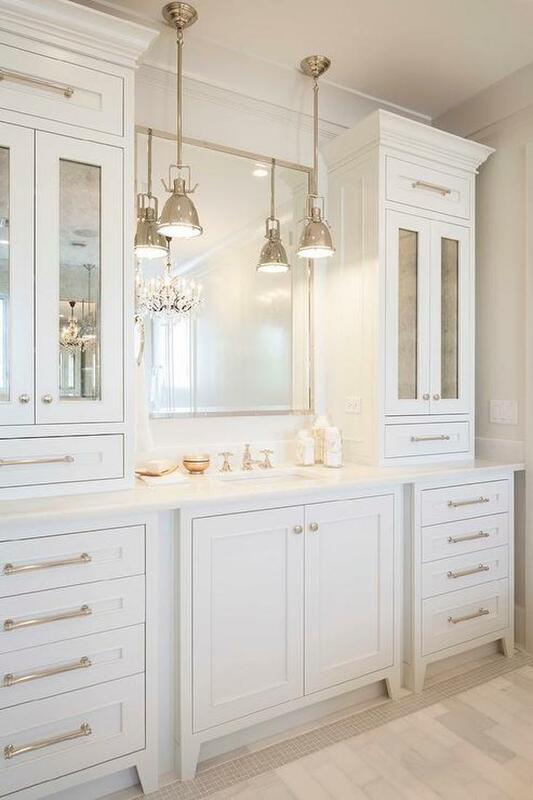 This luxurious vanity is loaded with built-in drawers and cabinets. Combining a glass-fronted linen cabinet with drawers and closed cabinets dresses up this simple but smart built-in. 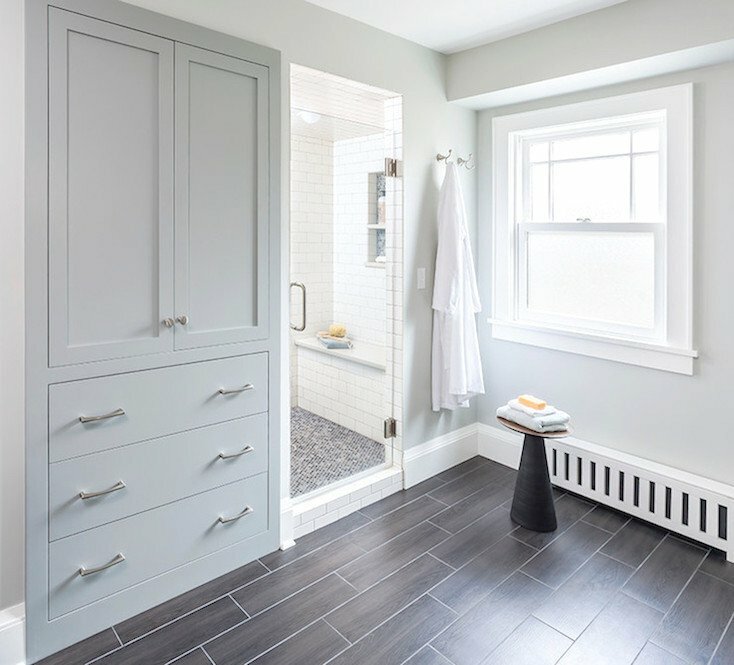 This pretty gray built-in linen closet blends in beautifully in this bathroom and offers quite a bit of storage. Home offices and craft rooms really benefit from built-ins, from closed cabinetry, to open shelving, to easily accessible work surfaces. Cyndy transformed 250 sq. feet over her garage into an amazing craft room loaded with creative floor-to-ceiling built-ins that maximize every square inch of space. 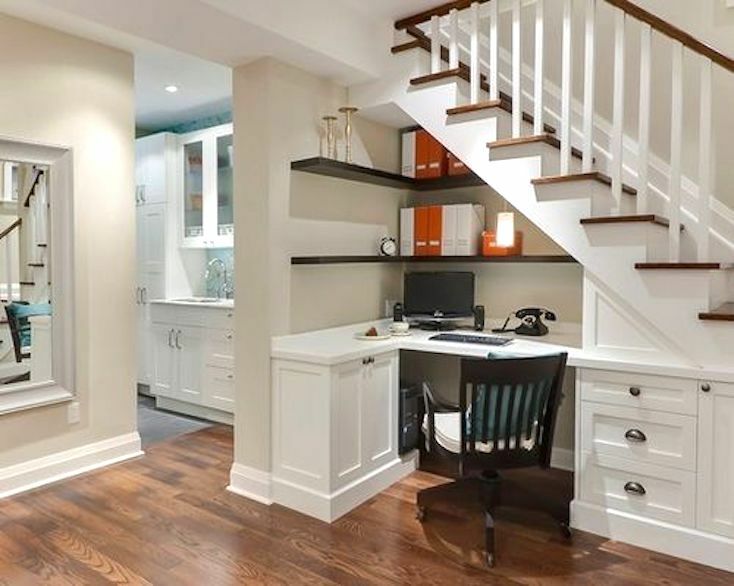 This lovely work space marries a built-in desk with additional storage shelves up to the ceiling. 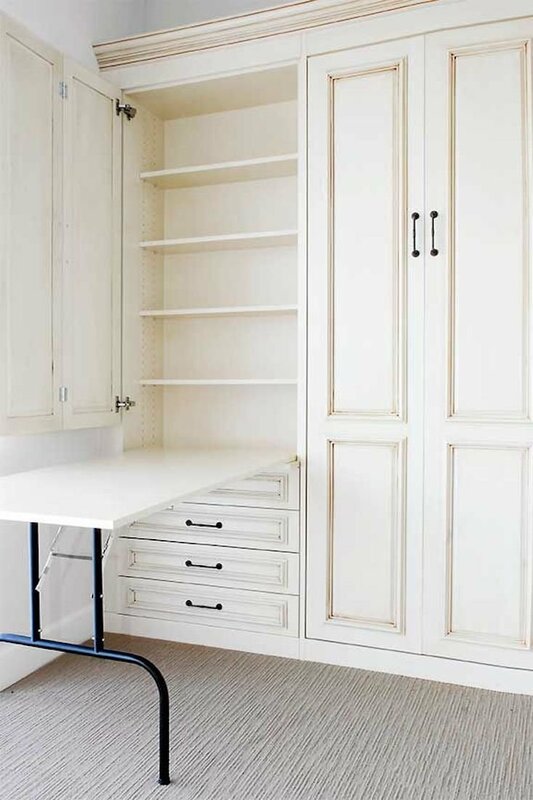 With a wall of built-ins like this, any home office can be neatly organized—and pretty! Look at all the built-in storage in this craft room! 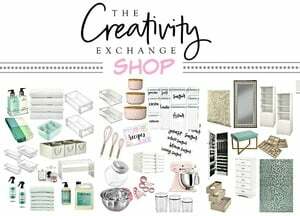 With some closed storage and some open, you can keep out what you use often and tuck away those supplies you don’t need as frequently. You’ve heard of a Murphy bed—a bed that folds up and down—but check out this built-in Murphy table that folds down when you need a work surface. 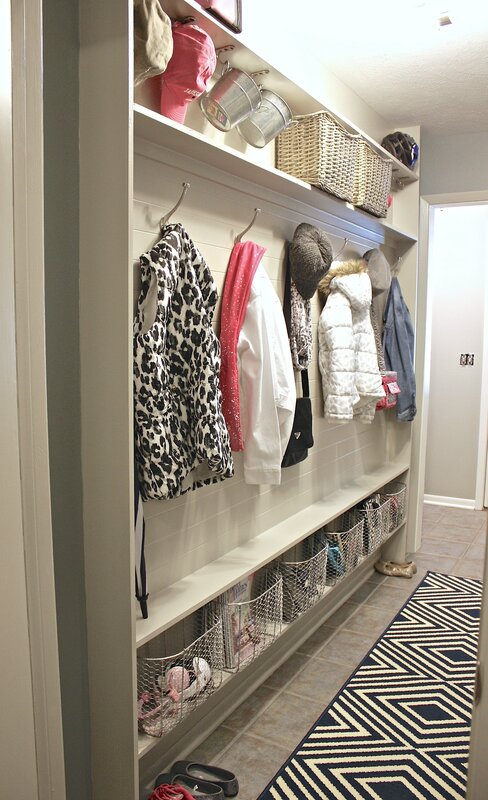 Built-ins can save your sanity in mudrooms, offering a place for shoes, coats, bags, and much more. 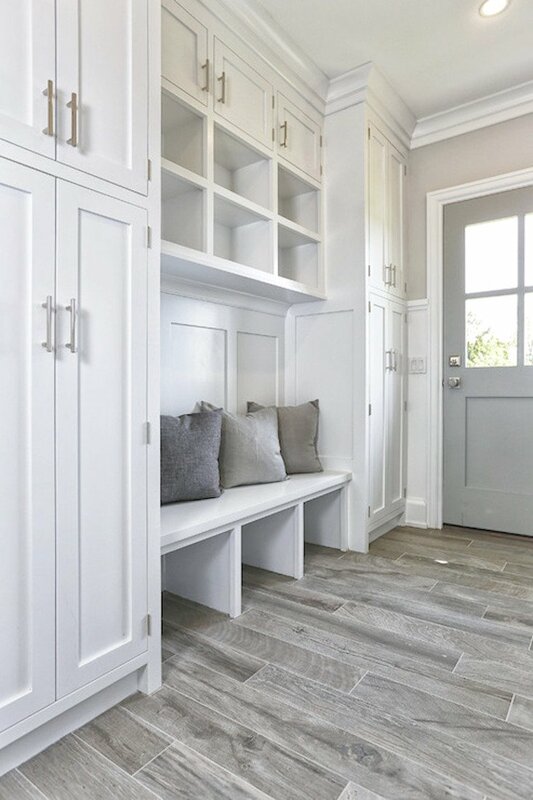 This attractive mud room features floor-to-ceiling built-ins and a mix of open and closed storage. 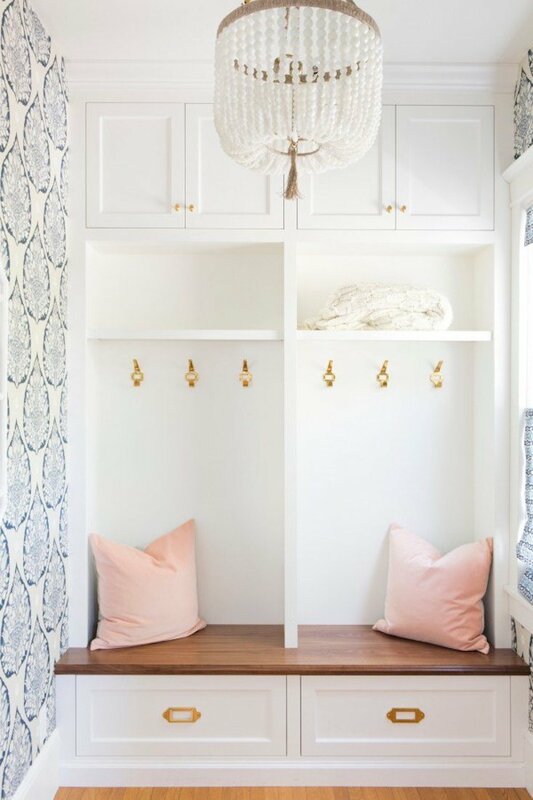 Another take on a mud room, this one offers lots of built-in storage options in a small space. 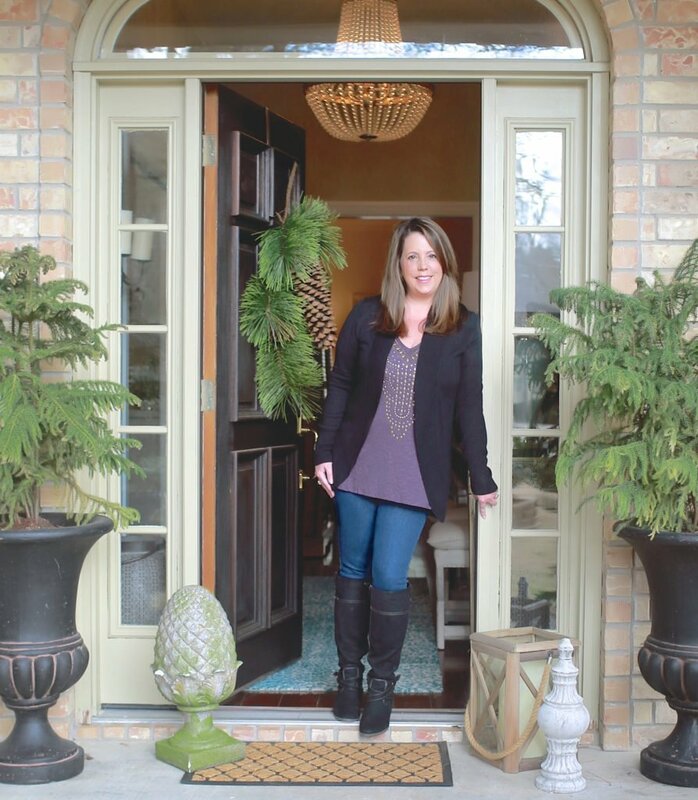 Cyndy used only 5.5″ of depth in a narrow hallway by her back door to create an awesome mudroom storage wall. That often-wasted space under the stairs can be transformed into smart storage and functional space with some custom built-ins. 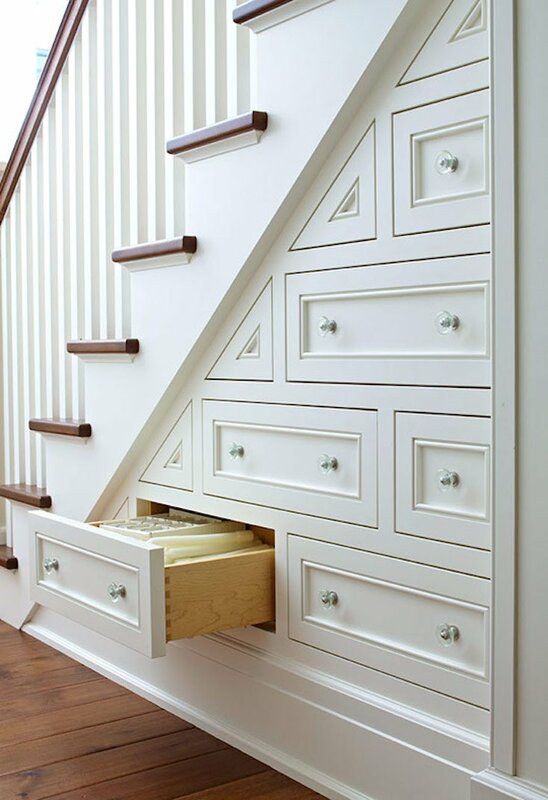 A combination of different-size drawers make the most of every inch of space in these under-the-stairs built-ins. These great built-ins create a cozy and quiet office space. These built-ins create an entertainment center under the stairs, with space for a television and components on the right and open shelving and closed cabinets on the left. 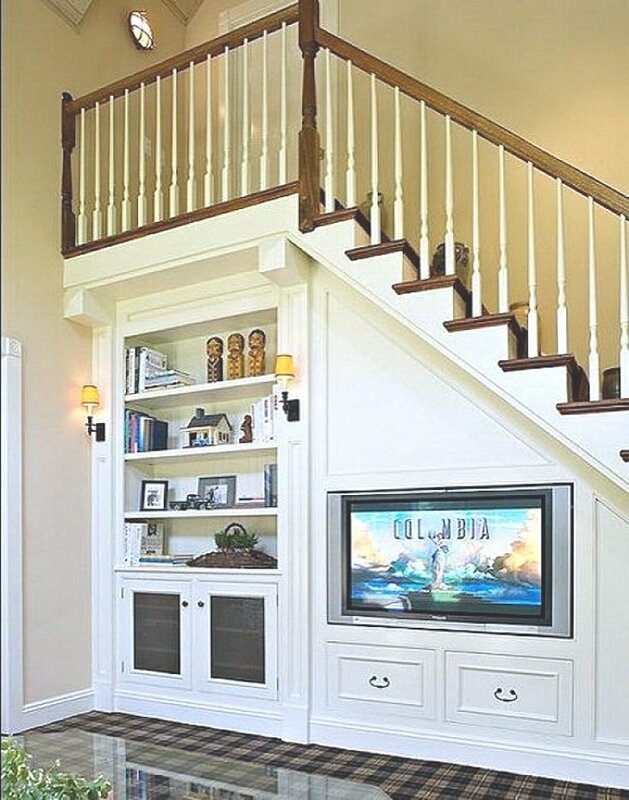 This built-in might be under the slope of a roof, but it would be perfect under stairs, too. The cabinets are plentiful, and I like all the great open cubbies for easy access to bags, shoes, and other pretty things. 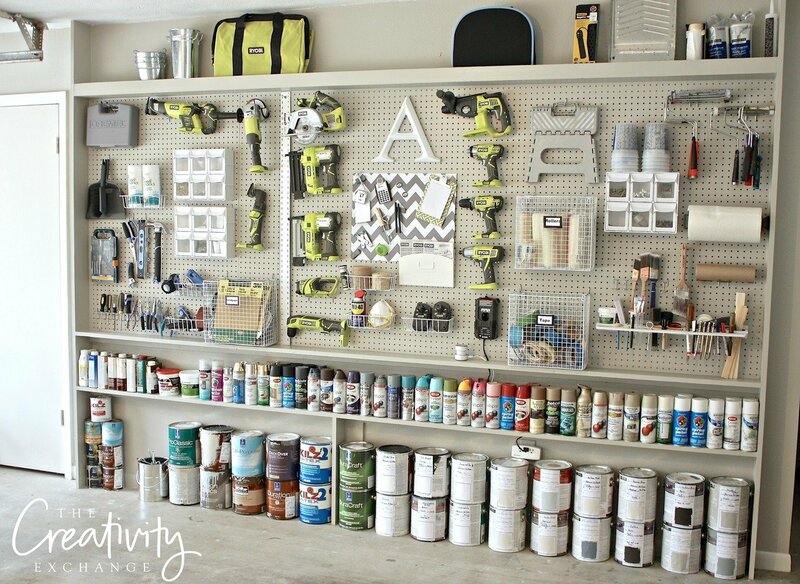 If you think your garage is too narrow for a built-in storage wall, you need to check out Cyndy’s garage pegboard storage wall. She used only 5.5″ of depth for the floor-to-ceiling wall that utilizes all the wasted space on the wall. Making the most of your space by adding built-ins allows you to get creative with storage and organization. Where in your own home could creative built-ins work for you? Gorgeous, gorgeous, gorgeous! Thank you for putting all this together for us!